Bride standing with her bouquet behind her back at her portrait session after their Hilton Lake Las Vegas wedding ceremony. Sepia toned image. 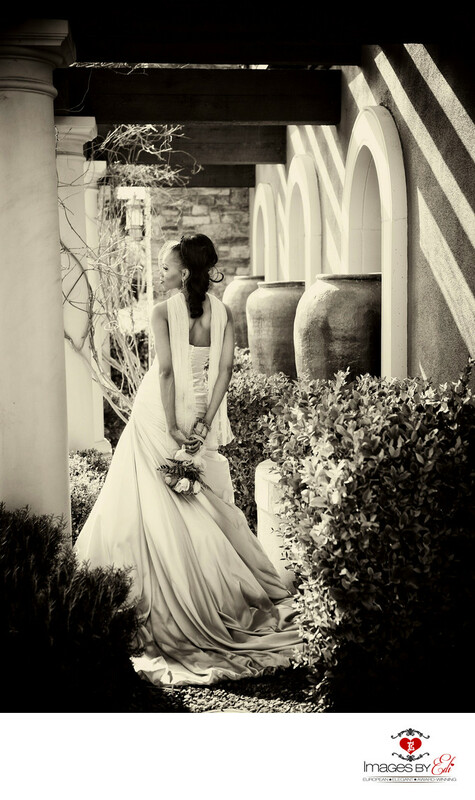 Keywords: Bride alone (150), Lake Las Vegas Wedding Photographer (9), Lake Las Vegas Wedding Photography (9).